In the middle of night, with Mary’s contractions getting more frequent, Joseph knocks on door after door in the hope of finding somewhere to stay in Bethlehem. Door after door is slammed in his face, it’s busier than Edinburgh in August and no-one wants to help. 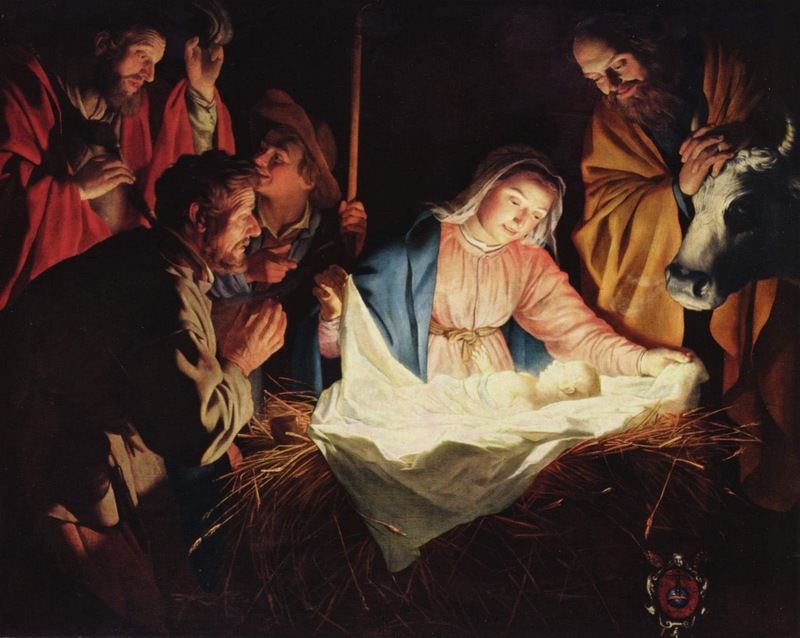 Eventually, they find a barn full of animals where Mary gives birth to Jesus. He glows. Luke’s gospel says that Joseph and Mary went to Bethlehem. “And while they were there, the time came for her to give birth.” (2:6) That’s not quite the same as, “As they arrived”, is it? Although Bethlehem was heaving with visitors, the idea of Joseph running around asking for help and being repeatedly refused goes completely against the Middle Eastern concept of hospitality (see Jesus Through Middle Eastern Eyes by Kenneth Bailey). A Judean’s home was not his castle, and if someone was family, or in need, you helped them: Joseph, whose ancestors came from Bethlehem, and Mary, who was very pregnant, were both! It would have brought shame on the whole community for them to be treated as we imagine they were. So what’s with the manger, the animal feeding trough? He must have been born in a barn because that’s where you keep animals, isn’t it? Again, no: not in that culture. A family would keep the couple of animals they owned in the third part of their house at night. Separate to the main family area and the guest room, but still part of the same structure, it was the safest place to keep their most valuable property, and it even helped keep the place warm. One of their feeding troughs these filled with straw makes a pretty comfortable, warm and safe place to put a new born baby in a world without Bugaboo, so that’s what they did. That, I think, is what happened. It wasn’t chaotic, it just wasn’t much. Is this just me being fussy? Of course Jesus didn’t glow, but a work of art that shows Him doing so shouldn’t be criticised for being unrealistic because it’s still communicating something about Him. So why bother with the details of the story? Well, for one thing, Christianity is rooted in historic reality, so details can matter. For another, this story needs no embellishment. The most amazing thing that has ever happened had happened: God had come to Earth as one of us. We need to stare at this story, amazed. Amazed! We should take time to think about the mind-boggling, life-changing truths in it. I recently preached about this. Doing so may even transform how we sing carols and give gifts. P.S. Please don’t heckle nativity services for being unrealistic in light of this.